SCOTT, (SIR) WALTER, baronet, a distinguished poet and novelist, was born in Edinburgh, August 15, 1771. He was a younger son of Mr Walter Scott, writer to the signet, by Anne, daughter of Dr John Rutherford, professor of the practice of medicine in the university of Edinburgh. Sir Walter’s father was grandson to a younger son of Scott of Raeburn, a branch of the ancient baronial house of Harden; and his mother was grand-daughter to Sir John Swinton, of Swinton, in Berwickshire. Being an ailing child, he was sent at a very early period of life to Sandyknow, a farm near the bottom of Leader water, in Roxburghshire, occupied by his paternal grandfather, where he had ample opportunities of storing his mind with border tradition. The first school he attended is said to have been one in Kelso, taught by a Mr Whale, where he had for school-fellows James and John Ballantyne, who subsequently became intimately connected with him in public life. He entered the high school of Edinburgh in 1779, when the class with which he was ranked (that of Mr Luke Fraser) was commencing its third season. Under this master he continued during two years, after which he entered the rector’s class, then taught by Mr Alexander Adam. In October, 1783, having completed the usual classical course, he was matriculated at the university of Edinburgh, studying humanity, or Latin, under professor Hill, and Greek under professor Dalzell. Another year under Dalzell, and a third in the logic class, taught by professor Bruce, appear to have formed the sum of his unprofessional studies at college. He was much devoted at this period to reading; and an illness, which interrupted his studies in his sixteenth year, afforded him an unusually ample opportunity of gratifying this taste. He read, by his own confession, all the old romances, old plays, and epic poems, contained in the extensive circulating library of Mr Sibbald (founded by Allan Ramsay); and soon after extended his studies to histories, memoirs, voyages, and travels. On the restoration of his health, he commenced, in his father’s office, an apprenticeship to legal business, which was completed in July, 1792, by his entering at the Scottish bar. The literary character of Scott is to be traced to the traditionary lore which he imbibed in the country, and the vast amount of miscellaneous reading above referred to, in conjunction with the study of the modern German poets and romancers, which he entered upon at a subsequent period. The earlier years of his life, as an advocate, were devoted rather to the last mentioned study, than to business; and the result was, a translation of "Burger’s Lenore," and "Der Wilde Jager," which he published in a small quarto volume in 1796. The success of this attempt was by no means encouraging; yet he persevered in his German studies, and, in 1799, gave to the world a translation of Göthe’s "Goetz of Berlichengen." Previously to the latter event, namely, on the 24th December, 1797, he had married Miss Carpenter, a young Frenchwoman of good parentage, whom he accidentally met at Gilsland wells, in Cumberland, and who possessed a small annuity. It is also worthy of notice, that, in 1799, he was appointed sheriff of Selkirkshire, a respectable situation, to which an income of £300 was attached. The success of Burger in ballad-writing, operating upon his predilection for that part of our own national poetry, induced him, about this time, to make several attempts in that line of composition, and soon after to commence the collection of those ancient original ballads, which in 1802 were published in two volumes octavo, as the Minstrelsy of the Scottish Border. On the reprinting of this work, in the ensuing year, he added a third volume, consisting chiefly of original ballads, by himself and others. The work was, upon the whole, a pleasing melange of history, poetry, and tradition; and it gained the author a considerable reputation, though certainly not that of an original poet in any eminent degree. In the annotations to the ancient romance of Sir Tristrem, which he published in 1804, he gave still more striking proof of the extent of his acquirements in metrical antiquities. It was not till the year 1805, when Scott had reached the age of thirty-four, and had a family rising around him, that he attracted decided attention as an original poet. He published in that year his "Lay of the Last Minstrel," an extended specimen of the ballad style, and one which fell upon the public mind as something entirely new in poetry. The caution which he may be said to have observed in coming before the world, arose from prudential considerations. He hesitated to come to a breach with his professional hopes, which a decided attempt in literature would have implied, before he should have attained something to assure him of a competency in the worst resort. This he had in some measure secured by his patrimony, his wife’s annuity, and his salary as sheriff; but it was not till 1806, when he received the appointment of a principal clerk of session, that he considered himself at perfect liberty to pursue a literary career. For this latter appointment, he was indebted to the interest of the Buccleuch and Melville families, which he had conciliated partly by his talents, and partly by the zeal with which he entered into the volunteer system at the close of the past century He succeeded Mr George Home, upon an arrangement, by which that gentleman was to enjoy the salary for life, so that it was not till 1811 that the poet reaped any actual benefit from it. The appointment was given by Mr Pitt, but was formally completed under the ensuing administration of Lord Grenville. In 1808, Mr Scott published his second poem of magnitude, "Marmion," which displayed his metrical genius in greater perfection than the Lay of the Last Minstrel and greatly increased his reputation. While the latter work had produced him £600, the present secured one thousand guineas. Previously to 1825, no fewer than thirty-six thousand copies of Marmion were sold. In the same year, Mr Scott published an edition of Dryden’s works, with notes and a life of that poet. In 1809 he edited the State Papers and Letters of Sir Ralph Sadler, and soon after he became a contributer to the Edinburgh Annual Register, started by Mr Southey. "The Lady of the Lake," in which his poetical genius seems to have reached the acme of its powers, was published in 1810. His earlier efforts were less matured and refined, and the later are all, in various degrees, less spirited and effective. In 1811 appeared "Don Roderick," a dreamy vaticination of modern Spanish history; in 1813 he published "Rokeby," in which he attempted, but without success, to invest English scenery and a tale of the civil war with the charm which he had already thrown over the Scottish Highlands and Borders, and their romantic inhabitants. Rokeby met with a decidedly unfavourable reception; and, it cannot be denied, the public enjoyed to a greater extent a burlesque, which appeared upon it, under the title of "Jokeby." The evil success of this poem induced him to make a desperate adventure to retrieve his laurels; and in 1814 he published "The Lord of the Isles." Even the name of Bruce, however, could not compensate the want of what had been the most captivating charm of his earlier productions—the development of new powers and styles of poesy. The public was now acquainted with his whole "fence," and could, therefore, take no longer the same interest in his exhibitions. As if to try how far his name now operated in promoting the sale of his writings, he produced, anonymously, two small poems in succession, "Harold the Dauntless," and "The Bridal of Triermain." Neither made any considerable impression upon the public; and he, therefore, seems to have concluded that poetry was no longer a line in which he ought to exercise his talents. Many years before, while as yet unknown as a poet, he had commenced a prose tale upon the legendary story of Thomas the Rymer, which never went beyond the first chapter. Subsequently, he contemplated a prose romance, relating to an age much nearer our own time. "My early recollections," says he, [In the auto-biographical introduction to the revised editions of his works.] "of the Highland scenery and customs made so favourable an impression in the poem called the ‘Lady of the Lake,’ that I was induced to think of attempting something of the same kind in prose. I had been a good deal in the Highlands at a time when they were much less accessible, and much less visited, than they have been of late years, and was acquainted with many of the old warriors of 1745, who were, like most veterans, easily induced to fight their battles over again, for the benefit of a willing listener like myself. It naturally occurred to me that the ancient traditions and high spirit of people, who, living in a civilized age and country, retained so strong a tincture of manners belonging to an early period of society, must afford a subject favourable for romance, if it should not prove a curious tale marred in the telling. "It was with some idea of this kind, that, about the year 1805, I threw together about one-third part of the first volume of Waverley. It was advertised to be published by the late Mr John Ballantyne, bookseller in Edinburgh, under the name of ‘Waverley.’ * * * Having proceeded as far, I think, as the seventh chapter, I showed my work to a critical friend, whose opinion was unfavourable, and having some poetical reputation, I was unwilling to risk the loss of it by attempting a new style of composition. I therefore threw aside the work I had commenced, without either reluctance or remonstrance. * * * This portion of the manuscript was laid aside in the drawers of an old writing-desk, which, on my first coming to reside at Abbotsford in 1811, was placed in a lumber garret, and entirely forgotten. Thus, though I sometimes, among other literary avocations, turned my thoughts to the continuation of the romance which I had commenced, yet, as I could not find what I had already written, after searching such repositories as were within my reach, and was too indolent to attempt to write it anew from memory, I as often laid aside all thoughts of that nature." The author then adverts to two circumstances, which particularly fixed in his mind the wish to continue this work to a close--namely, the success of Miss Edgeworth’s delineations of Irish life, and his happening to be employed in 1808, in finishing the romance of Queen-Hoo-Hall, left imperfect by Mr Strutt. "Accident," he continues, "at length threw the lost sheets in my way." "I happened to want some fishing-tackle for the use of a guest, when it occurred to me to search the old writing-desk already mentioned, in which I used to keep articles of that nature. I got access to it with some difficulty; and in looking for lines and flies, the long-lost manuscript presented itself. I immediately set to work to complete it, according to my original purpose. * * * Among other unfounded reports, it has been said that the copyright was, during the book’s progress through the press, offered for sale to various booksellers in London at a very inconsiderable price. This was not the case. Messrs Constable and Cadell, who published the work, were the only persons acquainted with the contents of the publication, and they offered a large sum for it, while in the course of printing, which, however, was declined, the author not choosing to part with the copyright. "Waverley was published in 1814, and as the title-page was without the name of the author, the work was left to win its way in the world without any of the usual recommendations. Its progress was for some time slow; but after the first two or three months, its popularity had increased in a degree which must have satisfied the expectations of the author, had these been far more sanguine than he ever entertained. "Great anxiety was expressed to learn the name of the author, but on this no authentic information could be attained. My original motive for publishing the work anonymously, was the consciousness that it was an experiment on the public taste, which might very probably fail, and therefore there was no occasion to take on myself the personal risk of discomfiture. For this purpose, considerable precautions were used to preserve secrecy. My old friend and schoolfellow, Mr James Ballantyne, who printed these novels, had the exclusive task of corresponding with the author, who thus had not only the advantage of his professional talents, but of his critical abilities. The original manuscript, or, as it is technically called, copy, was transcribed under Mr Ballantyne’s eye, by confidential persons; nor was there an instance of treachery during the many years in which these precautions were resorted to, although various individuals were employed at different times. Double proof-sheets were regularly printed off. One was forwarded to the author by Mr Ballantyne, and the alterations which it received were, by his own hand, copied upon the other proof-sheet for the use of the printers, so that even the corrected proofs of the author were never seen in the printing office; and thus the curiosity of such eager inquirers as made the most minute investigation, was entirely at fault." To this account of the publication of Waverley it is only to be added, that the popularity of the work became decided rather more quickly, and was, when decided, much higher, than the author has given to be understood. It was read and admired universally, both in Scotland and England, so that, in a very short time about twelve thousand copies were disposed of. Under the influence of this passion--for such it must be considered—Mr Scott produced a rapid succession of novels, of which it will be sufficient here to state the names and dates. To Waverley succeeded, in 1815, Guy Mannering; in 1816, the Antiquary, and the First Series of the Tales of my Landlord, containing the Black Dwarf and Old Mortality; in 1818, Rob Roy, and the Second Series of the Tales of my Landlord, containing the Heart of Mid Lothian; and in 1819, the Third Series of the Tales of my Landlord, containing the Bride of Lammermoor, and a Legend of Montrose. It is to be observed, that the series, called "Tales of my Landlord," were professedly by a different author from him of Waverley: an expedient which the real author had thought conducive to the maintenance of the public interest. Having now drawn upon public curiosity to the extent of twelve volumes in each of his two incognitos, he seems to have thought it necessary to adopt a third, and accordingly he intended Ivanhoe, which appeared in the beginning of 1820, to come forth as the first work of a new candidate for public favour. From this design he was diverted by a circumstance of trivial importance, the publication of a novel at London, pretending to be a fourth series of the Tales of my Landlord. It was therefore judged necessary that Ivanhoe should appear, as a veritable production of the author of Waverley. To it succeeded, in the course of the same year, the Monastery and the Abbot, which were judged as the least meritorious of all his prose tales. In the beginning of the year 1821, appeared Kenilworth; making twelve volumes, if not written, at least published, in as many months. In 1822 he produced the Pirate and the Fortunes of Nigel; in 1823, Peveril of the Peak (four volumes) and Quentin Durward; in 1824, St Ronan’s Well and Redgauntlet; in 1825, Tales of the Crusaders (four volumes); in 1826, Woodstock; in 1827, Chronicles of the Canongate, first series (two volumes); in 1828, Chronicles of the Canongate, second series; in 1829, Anne of Geierstein; and in 1831, a fourth series of Tales of my Landlord, in four volumes, containing two tales, respectively entitled Count Robert of Paris, and Castle Dangerous. The whole of these novels, except where otherwise specified, consisted of three volumes, and, with those formerly enumerated, make up the amount of his fictitious prose compositions to the enormous sum of seventy-four volumes. Throughout the whole of his career, both as a poet and novelist, Sir Walter was in the habit of turning aside occasionally to less important avocations of a literary character. He was a contributor to the Edinburgh Review during the first few years of its existence. To the Quarterly Review, he was a considerable contributor, especially for the last five or six years of his life, during which the work was conducted by his son-in-law, Mr Lockhart. To the Supplement of the sixth edition of the Encyclopaedia Britannica, he contributed the articles Chivalry, Romance, and the Drama. In 1818, he wrote one or two small prose articles for a periodical, after the manner of the Spectator, which was started by his friend Mr John Ballantyne, under the title of "The Saleroom," and was soon after dropped for want of encouragement. In 1814, he edited the Works of Swift, in nineteen volumes, with a life of the author. In 1814, Sir Walter gave his name and an elaborate introductory essay to a work, entitled "Border Antiquities," (two volumes, quarto,) which consisted of engravings of the principal antique objects on both sides of the Border, accompanied by descriptive letter-press. In 1 815, he made a tour of France and Belgium, visiting the scene of the recent victory over Napoleon. The result was a lively traveller’s volume, under the title of "Paul’s Letters to his Kinsfolk," and a poem, styled "The Field of Waterloo." In the same year he joined with Mr Robert Jamieson and Mr Henry Weber, in composing a quarto on Icelandic Antiquities. In 1819, he published "An Account of the Regalia of Scotland," and undertook to furnish the letter-press to a second collection of engravings, under the title of "Provincial Antiquities and Picturesque Scenery of Scotland," one of the most elegant books which has ever been published respecting the native country of the editor. In the year 1820, the agitated state of the country was much regretted by Sir Walter Scott; and he endeavoured to prove the absurdity of the popular excitement in favour of a more extended kind of parliamentary representation, by three papers, which he inserted in the Edinburgh Weekly Journal newspaper, under the title of "The Visionary." However well intended, these were not by any means happy specimens of political disquisition. Some months afterwards, it was deemed necessary by a few Tory gentlemen and lawyers, to establish a newspaper, in which the more violent of the radical prints should be met upon their own grounds. To this association Mr Scott subscribed and by means partly furnished upon his credit a weekly journal was commenced, under the title of "The Beacon." As the scurrilities of this print inflicted much pain in very respectable quarters, it sank, after an existence of a few months, amidst the general execrations of the community. Mr Scott, though he probably never contemplated, and perhaps was hardly aware of the guilt of the Beacon, was loudly blamed for his connexion with it. In 1822, Sir Walter published "Trivial Poems and Triolets, by P. Carey, with a Preface;" and, in 1822, appeared his dramatic poem of "Halidon Hill." In the succeeding year, he contributed a smaller dramatic poem, under the title of "Macduff’s Cross," to a collection of Miss Joanna Baillie. The sum of his remaining poetical works may here be made up, by adding "The Doom of Devorgoil," and "The Auchindrane Tragedy," which appeared in one volume in 1830. It cannot be said of any of these compositions, that they have made the least impression upon the public. The great success of the earlier novels of Sir Walter Scott had encouraged his publishers, Messrs Archibald Constable and Company, to give large sums for those works; and, previous to 1824, it was understood that the author had spent from fifty to a hundred thousand pounds, thus acquired, upon his house and estate of Abbotsford. During the months which his official duties permitted him to spend in the country—that is, the whole of the more genial part of the year, from March till November, excepting the months of May and June—he kept state, like a wealthy country gentleman, at this delightful seat, where he was visited by many distinguished persons from England, and from the continent. As he scarcely ever spent any other hours than those between seven and eleven, A.M., in composition, he was able to devote the greater part of the morning to country exercise, and the superintendence of his planting and agricultural operations; while the evenings were, in a great measure, devoted to his guests. Almost every day, he used to ride a considerable distance--sometimes not less than twenty miles—on horseback. He also walked a great deal; and, lame as he was, would sometimes tire the stoutest of his companions. Among the eminent persons to whom he had been recommended by his genius, and its productions, the late king George IV. was one, and not the least warm in his admiration. The poet of Marmion had been honoured with many interviews by his sovereign, when prince of Wales and prince regent; and his majesty was pleased, in March, 1820, to create him a baronet of the United Kingdom, being the first to whom he had extended that honour after his accession to the crown. In 1822, when his majesty visited Scotland, Sir Walter found the duty imposed upon him, as in some measure the most prominent man in the country, of acting as a kind of master of ceremonies, as well as a sort of dragoman, or mediator, between the sovereign and his people. It was an occasion for the revival of all kinds of historical and family reminiscences; and Sir Walter’s acquaintance with national antiquities, not less than his universally honoured character, caused him to be resorted to by innumerable individuals, and many respectable public bodies, for information and advice. On the evening of the 14th of August, when his majesty cast anchor in Leith Roads, Sir Walter Scott went out in a boat, commissioned by the LADIES OF SCOTLAND, to welcome the king, and to present his majesty with an elegant jewelled cross of St Andrew, to be worn on his breast, as a national emblem. When the king was informed of Sir Walter’s approach, he exclaimed, "What! Sir Walter Scott? The man in Scotland I most wish to see! Let him come up." Sir Walter accordingly ascended the ship, and was presented to the king on the quarter-deck, where he met with a most gracious reception. After an appropriate speech, Sir Walter presented his gift, and then knelt and kissed the king’s hand. He had afterwards the honour of dining with his majesty, being placed on his right hand. Throughout the whole proceedings connected with the reception and residence of the king in Scotland, Sir Walter Scott bore a very conspicuous part. Sir Walter Scott had now apparently attained a degree of human greatness, such as rarely falls to the lot of literary men; and he was generally considered as having, by prudence, fairly negatived the evils to which the whole class are almost proverbially subject. It was now to appear, that, though he had exceeded his brethren in many points of wisdom, and really earned an unusually large sum of money, he had not altogether secured himself against calamity. The bookselling house with which he had all along been chiefly connected, was one in which the principal partner was Mr Archibald Constable, a man who will long be remembered in Scotland for the impulse which he gave by his liberality to the literature of the country, but at the same time for a want of calculation and prudence, which in a great measure neutralized his best qualities. It is difficult to arrive at exact information respecting the connexion of the author with his publisher, or to assign to each the exact degree of blame incidental to him, for the production of their common ruin. It appears, however, to be ascertained, that Sir Walter Scott, in his eagerness for the purchase of land, and at the same time to maintain the style of a considerable country gentleman, incurred obligations to Messrs Constable and Company, for money or acceptances, upon the prospect of works in the course of being written, or which the author only designed to write, and was thus led, by a principle of gratitude, to grant counter-acceptances to the bookselling house, to aid in its relief from those embarrassments, of which he was himself partly the cause. It is impossible otherwise to account for Sir Walter Scott having incurred liabilities to the creditors of that house, to the amount of no less than £72,000, while of its profits he had not the prospect of a single farthing. On the failure of Messrs Constable and Company, in January, 1826, Messrs Ballantyne and Company, printers, of which firm Sir Walter Scott was a partner, became insolvent, with debts to the amount of £102,000, for the whole of which Sir Walter was, of course, liable, in addition to his liabilities for the bookselling house. It thus appeared that the most splendid literary revenue that ever man made for himself, had been compromised by a connexion, partly for profit, and partly otherwise, with the two mechanical individuals concerned in the mere bringing of his writings before the world. A percentage was all that these individuals were fairly entitled to for their trouble in putting the works of Sir Walter into shape; but they had absorbed the whole, and more than the whole, leaving both him and themselves poorer than they were at the beginning of their career. The blow was endured with a magnanimity worthy of the greatest writer of the age. On the very day after the calamity had been made known to him, a friend accosted him as he was issuing from his house, and presented the condolences proper to such a melancholy occasion. "It is very hard," said he, in his usual slow and thoughtful voice, "thus to lose all the labours of a lifetime, and be made a poor man at last, when I ought to have been otherwise. But if God grant me health and strength for a few years longer, I have no doubt that I shall redeem it all." The principal assets which he could present against the large claims now made upon him, were the mansion and grounds of Abbotsford, which he had entailed upon his son, at the marriage of that young gentleman to Miss Jobson of Lochore, but in a manner now found invalid, and which were burdened by a bond for £10,000. He had also his house in Edinburgh, and the furniture of both mansions. His creditors proposed a composition; but his honourable nature, and perhaps a sense of reputation, prevented him from listening to any such scheme. "No, gentlemen," said he, quoting a favourite Spanish proverb, "Time and I against any two. Allow me time, and I will endeavour to pay all." A trust-deed was, accordingly, executed in favour of certain gentlemen, whose duties were to receive the funds realized by our author’s labours, and gradually pay off the debts, with interest, by instalments. He likewise insured his life, with the sanction of his trustees, for the sum of £22,000, by which a post-obit interest to that amount was secured to his creditors. He was the better enabled to carry into execution the schemes of retrenchment which he had resolved on, by the death of lady Scott, in May, 1826. Her ladyship had born to him two sons and two daughters; of the latter of whom, the elder had been married, in 1820, to Mr L. G. Lockhart, advocate. Sir Walter was engaged, at the time of his bankruptcy, in the composition of a Life of Napoleon Bonaparte, which was originally designed to fill only four volumes, but eventually extended to nine. In the autumn of 1826, he paid a visit to Paris, in company with his youngest and only unmarried daughter, in order to acquaint himself with several historical and local details, requisite for the work upon which he was engaged. On this occasion, he was received with distinguished kindness by the reigning monarch, Charles X. The "Life of Napoleon" appeared in summer, 1827; and, though too bulky to be very popular, and perhaps too hastily written to bear the test of rigid criticism, it was understood to produce to its author a sum little short of £12,000. This, with other earnings and accessory resources, enabled him to pay a dividend of six shillings and eightpence to his creditors. Till this period, Sir Walter Scott had made no avowal to the public of his being the author of that long series of prose fictions, which had for some years engaged so much of public attention. It being no longer possible to preserve his incognito, he permitted himself, at a dinner for the benefit of the Edinburgh Theatrical Fund, February 23, 1827, to be drawn into a disclosure of the secret. On his health being proposed by lord Meadowbank, as the "Great Unknown," now unknown no longer, he acknowledged the compliment in suitable terms, and declared himself, unequivocally, to be the sole author of what were called the Waverley Novels. About the same time, the copyright of all his past novels was brought to the hammer, as part of the bankrupt stock of Messrs Constable and Company. It was bought by Mr Robert Cadell, of the late firm of Archibald Constable and Company, and who was now once more engaged in the bookselling business, at 8,400 pounds, for the purpose of republishing the whole of these delightful works in a cheap uniform series of volumes, illustrated by notes and prefaces, and amended in many parts by the finishing touches of the author. Sir Walter or his creditors were to have half the profits, in consideration of his literary aid. This was a most fortunate design. The new edition began to appear in June, 1829; and such was its adaptation to the public convenience, and the eagerness of all ranks of people to contribute in a way convenient to themselves towards the reconstruction of the author’s fortunes, that the sale soon reached an average of twenty-three thousand copies. To give the reader an idea of the magnitude of this concern—speaking commercially—it may be stated that, in the mere production of the work, not to speak of its sale, about a thousand persons, or nearly a hundredths part of the population of Edinburgh, were supported. The author was now chiefly employed in preparing these narratives for the new impression; but he nevertheless found time occasionally to produce original works. In November, 1828, he published the first part of a juvenile History of Scotland, under the title of "Tales of a Grandfather," being addressed to his grandchild, John Hugh Lockhart, whom he typified under the appellation of Hugh Littlejohn, Esq. 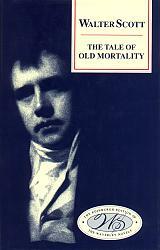 In 1829, appeared the second, and in 1830, the third and concluding series of this charming book, which fairly fulfilled a half-sportive expression that had escaped him many years before, in the company of his children —that "he would yet make the history of Scotland as familiar in the nurseries of England as lullaby rhymes." In 1830, he also contributed a graver History of Scotland, in two volumes, to the periodical work called "Lardner’s Cabinet Cyclopaedia." In the same year, appeared his Letters on Demonology and Witchcraft, as a volume of Mr Murray’s "Family Library;" and, in 1831, he added to his Tales of a Grandfather, a uniform series on French history. In the same year, two sermons which he had written a considerable time before, for a young clerical friend, were published by that individual in London, and, as specimens of so great an author in an extraordinary line of composition, met with an extensive sale. The profits of these various publications, but especially his share of the profits of the new edition of his novels, enabled him, towards the end of the year 1830, to pay a dividend of three shillings in the pound, which, but for the accumulation of interest, would have reduced his debts to nearly one-half. Of £54,000 which had now been paid, all except six or seven thousand had been produced by his own literary labours; a fact which fixes the revenue of his intellect for the last four or five years at nearly £10,000 a-year. Besides this sum, Sir Walter had also paid up the premium of the policy upon his life, which, as already mentioned, secured a post obit interest of £22,000 to his creditors. On this occasion, it was suggested by one of these gentlemen, (Sir James Gibson Craig,) and immediately assented to, that they should present to Sir Walter personally the library, manuscripts, curiosities, and plate, which had once been his own, as an acknowledgment of the sense they entertained of his honourable conduct. In November, 1830, he retired from his office of principal clerk of session, with the superannuation allowance usually given after twenty-three years’ service. Earl Grey offered to make up the allowance to the full salary; but, from motives of delicacy, Sir Walter firmly declined to accept of such a favour from one to whom he was opposed in politics. His health, from his sixteenth year, had been very good, except during the years 1818 and 1819, when he suffered under an illness of such severity as to turn his hair quite grey, and send him out again to the world apparently ten years older than before. It may be mentioned, however, that this illness, though accompanied by very severe pain, did not materially interrupt or retard his intellectual labours. He was only reduced to the necessity of employing an amanuensis, to whom he dictated from his bed. The humorous character, Dugald Dalgetty, in the third series of the Tales of my Landlord, and the splendid scene of the Siege of Torquilston in Ivanhoe, were created under these circumstances. Mr William Laidlaw, his factor, who at one time performed the task of amanuensis, has described how he would sometimes be stopped in the midst of some of the most amusing or most elevated scenes, by an attack of pain—which being past, he would recommence in the same tone at the point where he had left off, and so on for day after day, till the novel was finished. It happened very unfortunately, that the severe task which he imposed upon himself, for the purpose of discharging his obligations came at a period of life when he was least able to accomplish it. It will hardly be believed that even when so far occupied with his official duties in town, he seldom permitted a day to pass over his head without writing as much as to fill a sheet of print, or sixteen pages, and this, whether it was of an historical nature, with of course the duty of consulting documents, or of fictitious matter spun from the loom of his fancy. Although this labour was alleviated in the country by considersble exercise, it nevertheless must have pressed severely upon the powers of a man nearly sixty by years, and fully seventy by constitution. The reader may judge how strong must have been that principle of integrity, which could command such a degree of exertion and self denial, not so much to pay debts contracted by himself, as to discharge obligations in which he was involved by others. He can only be likened indeed, to the generous elephant which, being set to a task above its powers, performed it at the expense of life, and then fell dead at the feet of its master. His retirement from official duty might have been expected to relieve in some measure the pains of intense mental application. It was now too late, however, to redeem the health that had fled. During the succeeding winter, symptoms of gradual paralysis, a disease hereditary in his family, began to be manifested. His contracted limb became gradually weaker and more painful, and his tongue less readily obeyed the impulse of the will. In March, 1831, he attended a meeting of the freeholders of the county of Roxburgh, to aid in the expression of disapprobation, with which a majority of those gentlemen designed to visit the contemplated reform bills. Sir Walter was, as already hinted, a zealous Tory, though more from sentiment, perhaps, than opinion, and he regarded those regenerating measures as only the commencement of the ruin of his country. Having avowed this conviction in very warm language, a few of the individuals present by courtesy, expressed their dissent in the usual vulgar manner; whereupon he turned, with anger flashing in his eye--with him a most unwonted passion—and said, that he cared no more for such expressions of disapproval than he did for the hissing of geese or the braying of asses. He was evidently, however, much chagrined at the reception his opinions had met with, and in returning home was observed to shed tears. "Although it is said in the newspapers, I am actually far from well, and instead of being exercising (sic), on a brother novelist, Chateaubriand, may influence to decide him to raise an insurrection in France, which is the very probable employment allotted to me by some of the papers, I am keeping my head as cool as I can, and speaking with some difficulty. Since the early part of the year, he had, in a great measure, abandoned the pen for the purposes of authorship. This, however, he did with some difficulty, and it is to be feared that he resumed it more frequently than he ought to have done. "Dr Abercromby," says he, in a letter dated March 7, "threatens me with death if I write so much; and die, I suppose, I must, if I give it up suddenly. I must assist Lockhart a little, for you are aware of our connexion, and he has always showed me the duties of a son; but, except that, and my own necessary work at the edition of the Waverley Novels, as they call them, I can hardly pretend to put pen to paper; for after all this same dying is a ceremony one would put off as long as possible." In the autumn, his physicians recommended a residence in Italy, as a means of delaying the approaches of his illness. To this scheme he felt the strongest repugnance, as he feared he should die on a foreign soil, far from the mountain-land which was so endeared to himself, and which he had done so much to endear to others; but by the intervention of some friends, whose advice he had been accustomed to respect from his earliest years, he was prevailed upon to comply. By the kind offices of captain Basil Hall, liberty was obtained for him to sail in his majesty’s ship the Barham, which was then fitting out for Malta. Nomina servorum, nec vultum agnoscit amici." After residing for some weeks in London, in the receipt of every attention which filial piety and medical skill could bestow, the expiring poet desired that, if possible, he might be removed to his native land—to his own home. As the case was reckoned quite desperate, it was resolved to gratify him in his dying wish, even at the hazard of accelerating his dissolution by the voyage. He accordingly left London on the 7th of July, and, arriving at Newhaven on the evening of the 9th, was conveyed with all possible care to a hotel in his native city. After spending two nights and a day in Edinburgh, he was removed, on the morning of the 11th, to Abbotsford. That intense love of home and of country, which had urged his return from the continent, here seemed to dispel for a moment the clouds of the mental atmosphere. In descending the vale of Gala, at the bottom of which the view of Abbotsford first opens, it was found difficult to keep him quiet in his carriage, so anxious was he to rear himself up, in order to catch an early glimpse of the beloved scene. On arriving at his house, he hardly recognized any body or any thing. He looked vacantly on all the objects that met his gaze, except the well-remembered visage of his friend Laidlaw, whose hand he affectionately pressed, murmuring, "that now he knew that he was at Abbotsford." He was here attended by most of the members of his family, including Mr Lockhart, while the general superintendence of his death-bed (now too certainly such) was committed to Dr Clarkson of Melrose. He was now arrived at that melancholy state, when the friends of the patient can form no more affectionate wish than that death may step in to claim his own. Yet day after day did the remnants of a robust constitution continue to hold out against the gloomy foe of life, until, notwithstanding every effort to the contrary, mortification commenced at several parts of the body. This was about twelve days before his demise, which at length took place on the 21st of September, (1832,) the principles of life having been by that time so thoroughly worn out, that nothing remained by which pain could be either experienced or expressed. On the 26th, the illustrious deceased was buried in an aisle in Dryburgh abbey, which had belonged to one of his ancestors, and which had been given to him by the late earl of Buchan. Sir Walter Scott was in stature above six feet; but, having been lame from an early period of life in the right limb, he sank a little on that side in walking. His person was, in latter life, bulky, but not corpulent, and made a graceful appearance on horseback. Of his features, it is needless to give any particular description, as they must be familiar to every reader through the medium of the innumerable portraits, busts, and medallions, by which they have been commemorated. His complexion was fair, and the natural colour of his hair sandy. The portrait, by Raeburn, of which an engraving was prefixed to the Lady of the Lake, gives the best representation of the poet, as he appeared in the prime of life. The bust of Chantry, taken in 1820, affords the most faithful delineation of his features as he was advancing into age. And his aspect, in his sixtieth year, when age and reflection had more deeply marked his countenance, is most admirably preserved in Mr Watson Gordon’s portrait, of which an engraving is prefixed to the new edition of his novels. There is, likewise, a very faithful portrait by Mr Leslie, an American artist. Sir Walter Scott possessed, in an eminent degree, the power of imagination, with the gift of memory. If to this be added his strong tendency to venerate past things, we at once have the most obvious features of his intellectual character. A desultory course of reading had brought him into acquaintance with almost all the fictitious literature that existed before his own day, as well as the minutest points of British, and more particularly Scottish history. His easy and familiar habits had also introduced him to an extensive observation of the varieties of human character. His immense memory retained the ideas thus acquired, and his splendid imagination gave them new shape and colour. Thus, his literary character rests almost exclusively upon his power of combining and embellishing past events, and his skill in delineating natural character. In early life, accident threw his --ons into the shape of verse--in later life, into prose; but, in whatever form they appear, the powers are not much different. The same magician is still at work, re-awaking the figures and events of history, or sketching the characters which we every day see aroundus, and investing the whole with the light of a most extraordinary fancy. It is by far the greatest glory of Sir Walter Scott, that he shone equally as a good and virtuous man, as he did in his capacity of the first fictitious writer of the age. His behaviour through life was marked by undeviating integrity and purity. His character as a husband and father is altogether irreproachable. Indeed, in no single relation of life does he appear liable to blame, except in the facility with which he yielded his fortunes into the power of others, of whom he ought to have stood quite independent. Laying this imprudence out of view, his good sense, and good feeling united, appear to have guided him aright through all the difficulties and temptations of life. Along with the most perfect uprightness of conduct, he was characterized by extraordinary simplicity of manners. He was invariably gracious and kind, and it was impossible ever to detect in his conversation a symptom of his grounding the slightest title to consideration upon his literary fame, or of his even being conscious of it. "And while the meeting state their anxious wish that every creditor, who is not present, may adopt the same resolution, they think it a tribute justly due to the memory of Sir Walter Scott, to express, in the strongest manner, their deep sense of his most honourable conduct, and of the unparalleled benefits which they have derived from the extraordinary exertion of his unrivalled talents under misfortunes and difficulties, which would have paralyzed the exertions of anyone else, but in him only proved the greatness of mind which enabled him to rise superior to them." Sir Walter Scott was born on August 15, 1771 in Edinburgh. At the age of 18 months he contracted infantile paralysis - probably a form of Polio - which left him lame in his right leg. As a result he was sent to recuperate with his grandfather in the Borders where he first started to hear the history and legends of the area which would provide him with much of his inspiration. He returned to Edinburgh for his schooling and attended classes at the university at a young age. He became an apprentice at his father's legal practice in 1786 and came into contact with many of the literati of Edinburgh. He studied at the classes of people like Prof. Dugald Stewart to prepare for his Bar exams and was called to the Bar in 1792. At around this time he started collecting the ballads of the Border areas which were to later be published as The Minstrelsy of the Scottish Border. He had developed an interest in German literature and in 1796 published translations including one of Goethe. The following year saw him marry Charlotte Carpenter and after a period of living in Lasswade he was appointed Sheriff-Depute of Selkirkshire in 1799. He completed the Minstrelsy and was encourage by the Countess of Dalkeith to compose a ballad of a Border story which developed into The Lay of the Last Minstrel which was published in 1805 and became a great success. The romantic story set against a Scottish historical background became a main theme of his and he continued this with Marmion in 1808 and his most popular poem The Lady of the Lake in 1810. The following year saw him build the house at Abbotsford where he would live for the rest of his life and which he added to over the years. He was now moving more towards prose and in 1814 his novel Waverley, which was to be the beginning of a long and famous series, was published by Constable. This was in many ways the birth of the historical novel, and he brought it immediately to a fine art which would seldom be equalled. Over the next few years he produced a stream of titles such as Guy Mannering, The Antiquary, Rob Roy, The Heart of Midlothian, Ivanhoe and Redgauntlet. They were written anonymously - appearing variously as "by the writer of Waverley", and by the fictitious Jedediah Cleishbotham. He seemed to feel that novel writing was not a fit profession for someone in his position but was also a lover of mystery and saw the value of it a a promotional device. Of the Ettrick Shepherd, Sir Henry Raeburn, &c., &c.